As a wine blogger, I really like to explore the wine regions I visit. 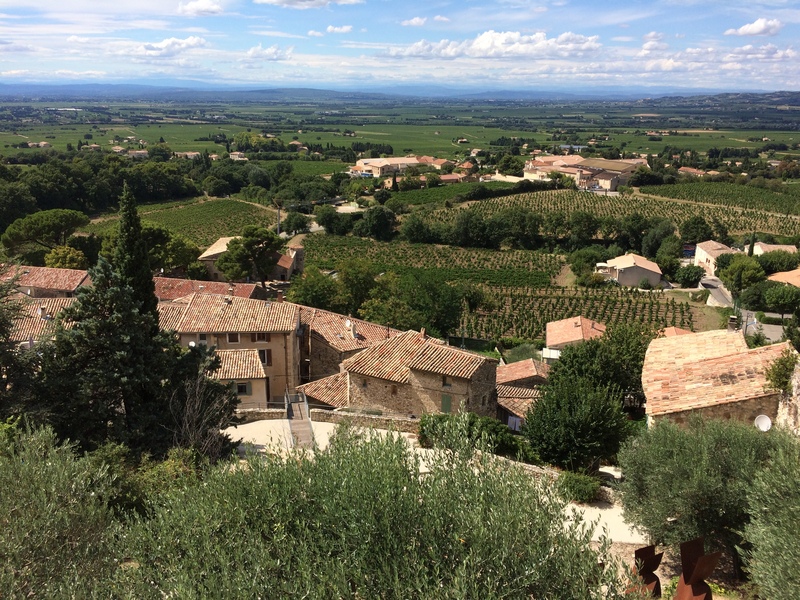 We are in the Avignon area for six weeks, and I had been itching to get to Châteauneuf-du-Pape to taste some of their fantastic wines on-site and to learn more about the culture and process of this renowned region. 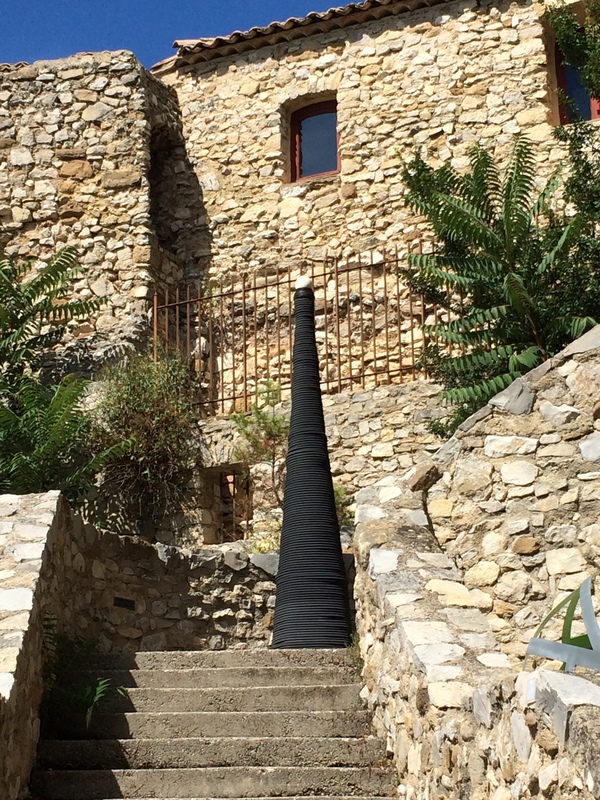 At the recommendation of Lauren, proprietor of the wonderful Art, Wine, and Design Shop in Villeneuve-les-Avignon, I called Valentina of MistralTour.fr and set up an all-day tour this past Friday. Dorianne and our daughter, Grace, joined us. Most of the photographs in this post were taken by Grace – here is a (LINK) to her website. Valentina is a delight – an Italian who lives in France and speaks perfect English; she is very vivacious and professional. She is an excellent guide. I was unfamiliar with whites and rosés from this region, but let me tell you, there are some amazing wines here. U.S. retailers and restaurants should be getting on the bandwagon for the whites and rosés of Châteauneuf-du-Pape and Gigondas. Chateau de Vaudieu. Side entrance. La Cave at Chateau de Vaudieu. 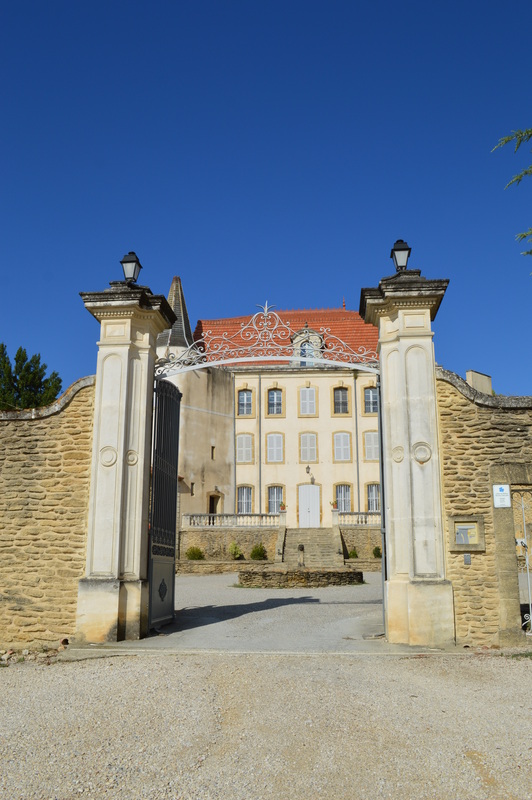 Then we drove just down the road to Chateau de Vaudieu (LINK) for a tour and a private tasting with the winemaker, Christophe. Chateau de Vaudieu dates from 1767. 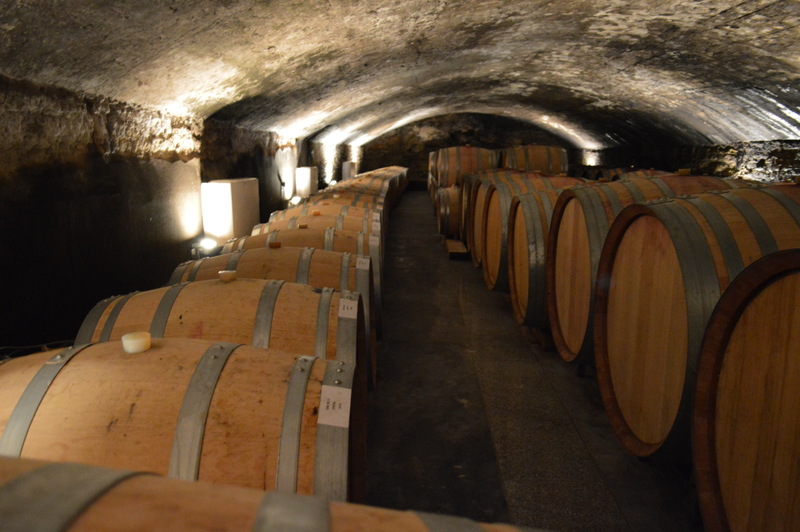 They have 70 hectares (173 acres) of grapes under cultivation, all around the chateau. Winemaker Christophe and his wines. 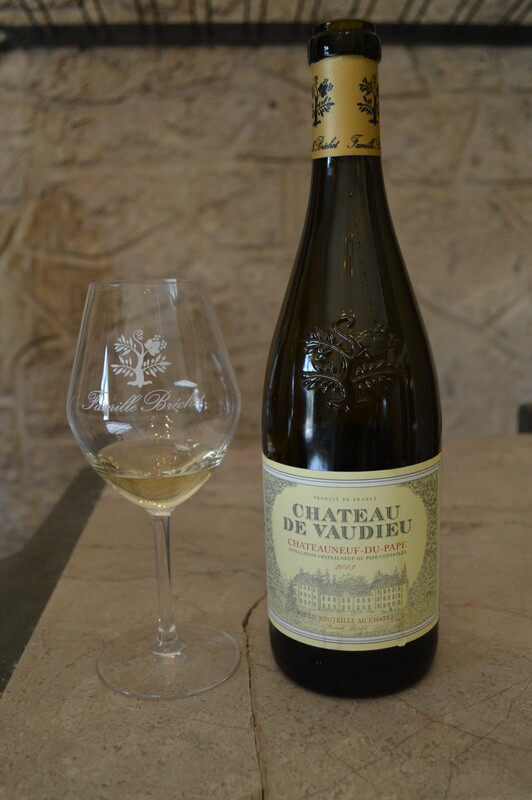 A White Chateauneuf-du-Pape – whites make up 15% of Chateau de Vaudieu’s production. Grenache 75% – Roussanne 25%. 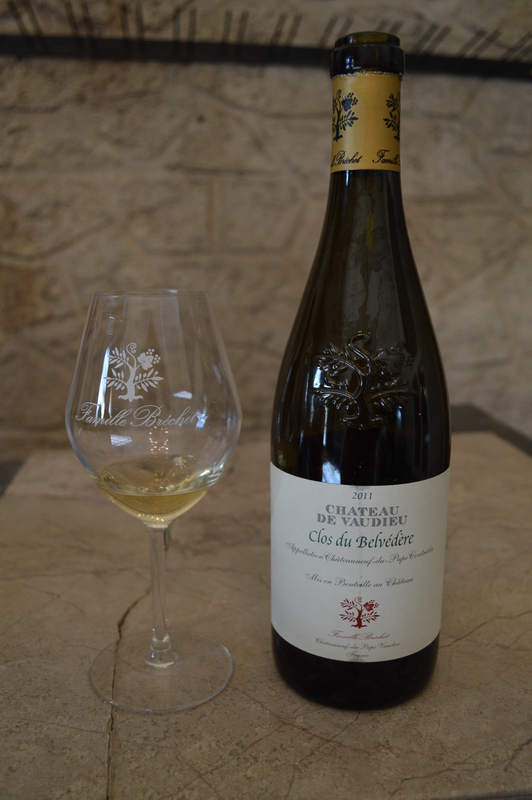 Another White Chateauneuf-du-Pape – whites make up 15% of Chateau de Vaudieu’s production. 100% Grenache Blanc. Lirac is an AOC just across the Rhône River from Châteauneuf-du-Pape. It has similar varietals and soils, and the wines are a bargain. 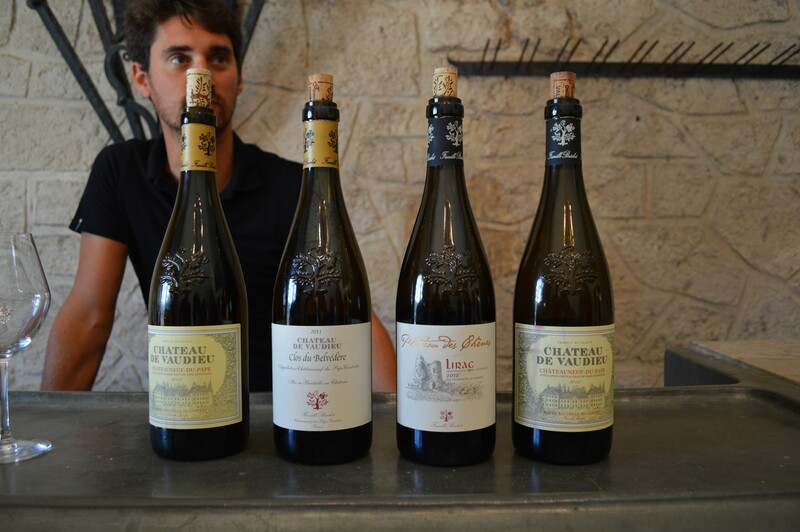 Quite a few Châteauneuf-du-Pape growers bottle Lirac Wines. 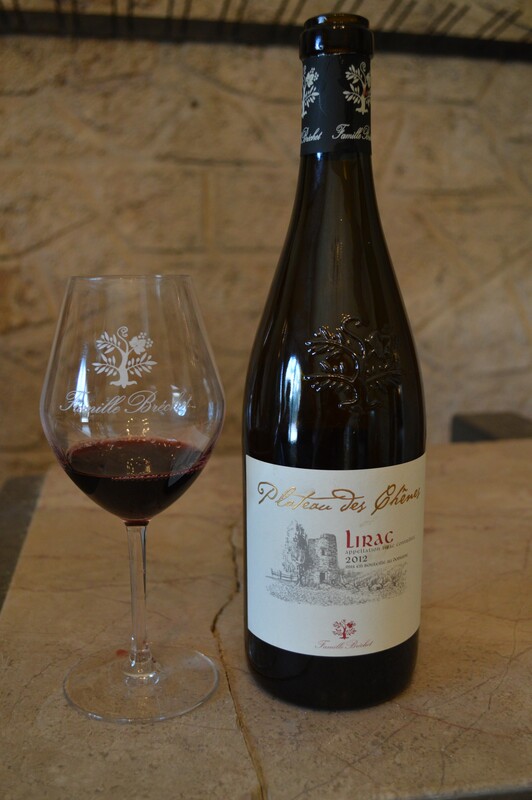 is 2012 Plateau des Red Oak , Lirac. Grenache/Syrah blend. Next, we went into the village to the wine shop of Domaine Durieu, where the winemaker was also present for part of our stay, then we tasted four of their wines. 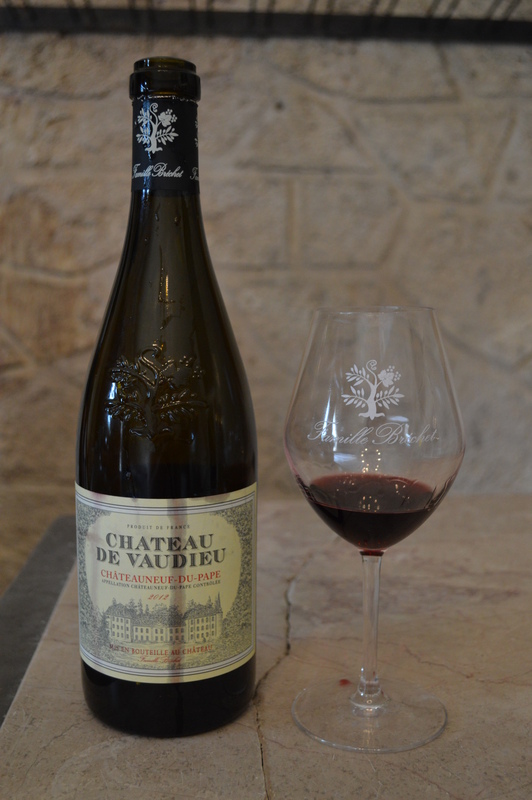 I should add that Châteauneuf-du-Pape wines are among the best in France. No photos here. Then a long drive through he region to La Verrière, in Crestet up on a mountain, where we had a wonderful lunch, a conversation with the owner (Nicole Rolet who co-owns with her husband, Xavier) and the winemaker, and tasted the award winning Chene Bleu Rhône wines (LINK); then we had a complete tour of the facilities. This is one of the most beautiful wine estates I have ever seen in France, and after speaking with the principals, I can see why. This team produces some excellent wines and they have created an atmosphere of success at their beautiful property. 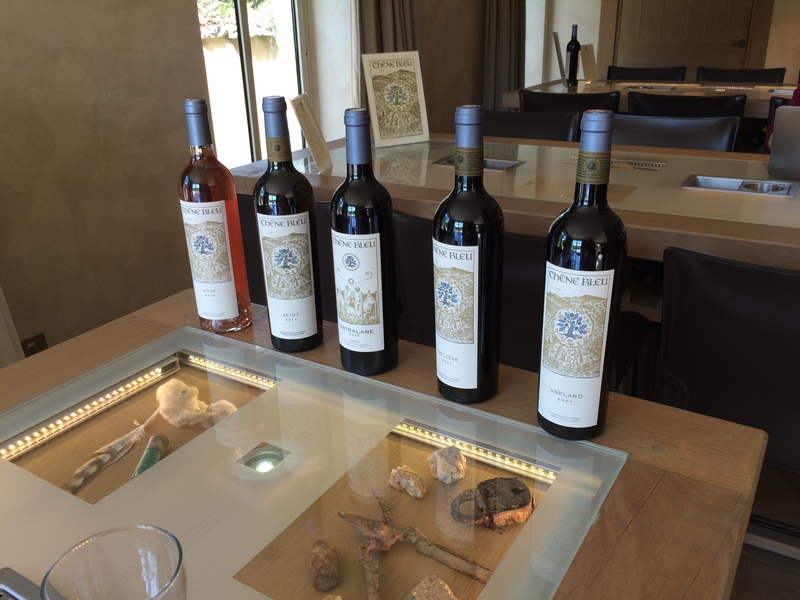 The wines were smooth, well-crafted, beautifully balanced and simply delicious. They are available in the U.S. and elsewhere, so check their website (LINK) for more information, or Google the wine names. 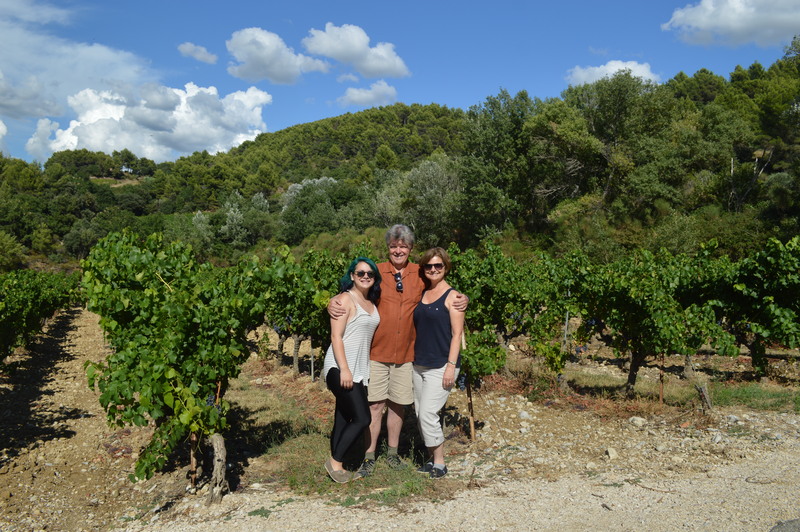 Note that the Chene Bleu wines are made outside of the French AOC system – Nicole and Xavier felt too bound by the rules of the local AOC, so they deviated, and it has been a battle for acceptance. Of course, the wines speak for themselves and have received numerous awards and recognitions. 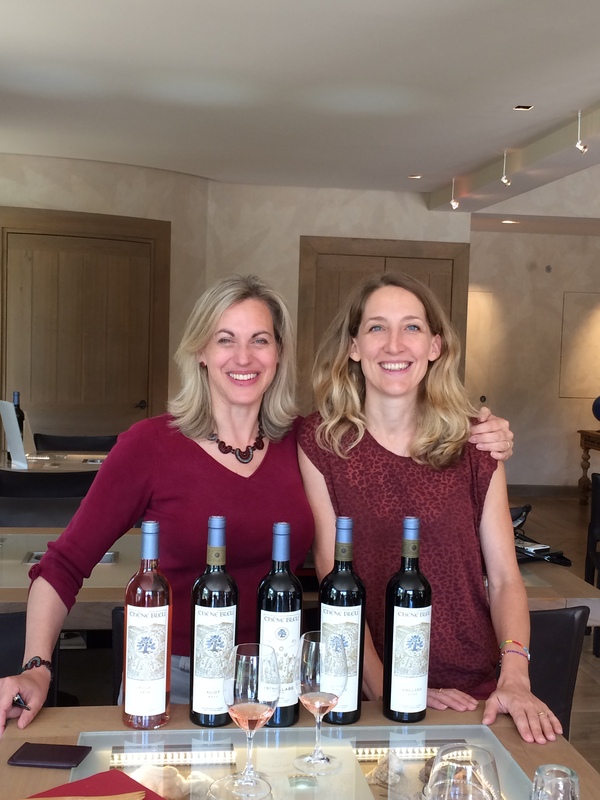 Owner Nicole Rolet, our guide, Valentina, and the wines of Chêne Bleu at Domaine de la Verrière. 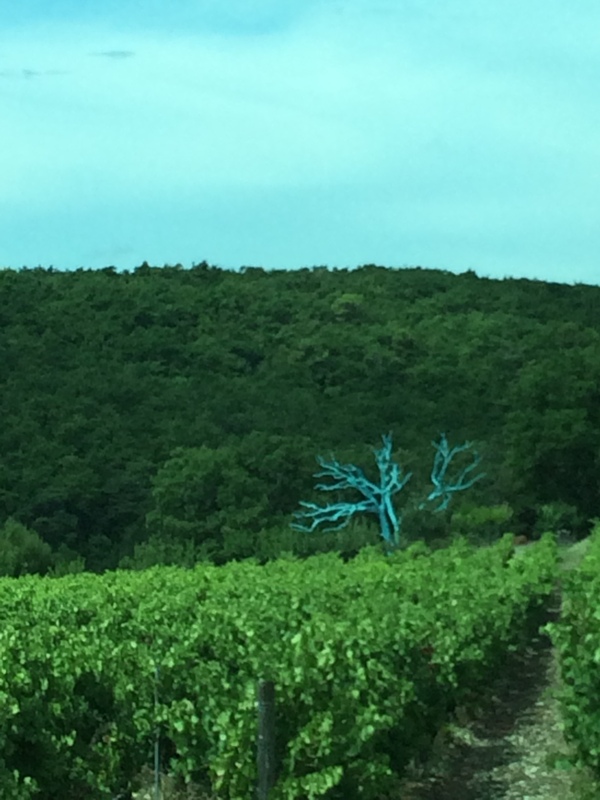 The Chêne Bleu (Blue Oak) at Domaine de la Verrière – painted with copper paint. The wines of Domaine de la Verrière, labeled Chêne Bleu. 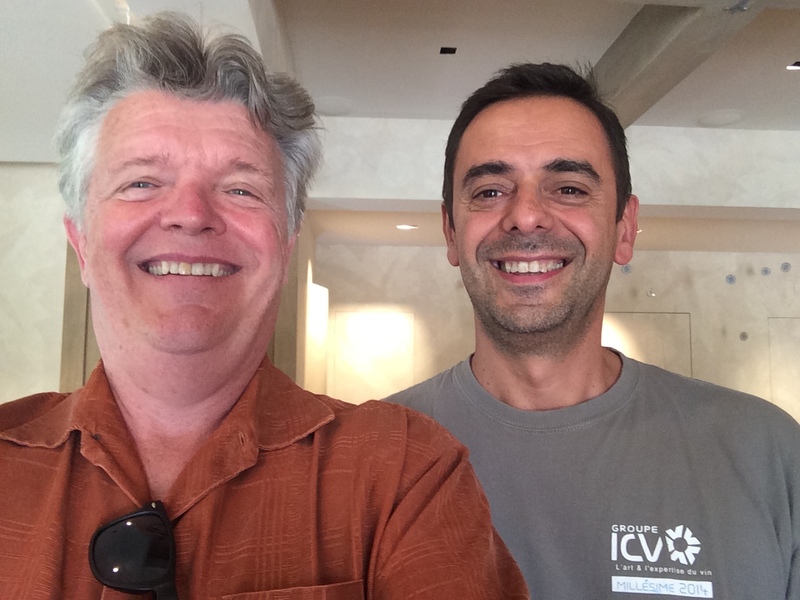 Me and the Winemaker, Jean-Luis Gallucci. 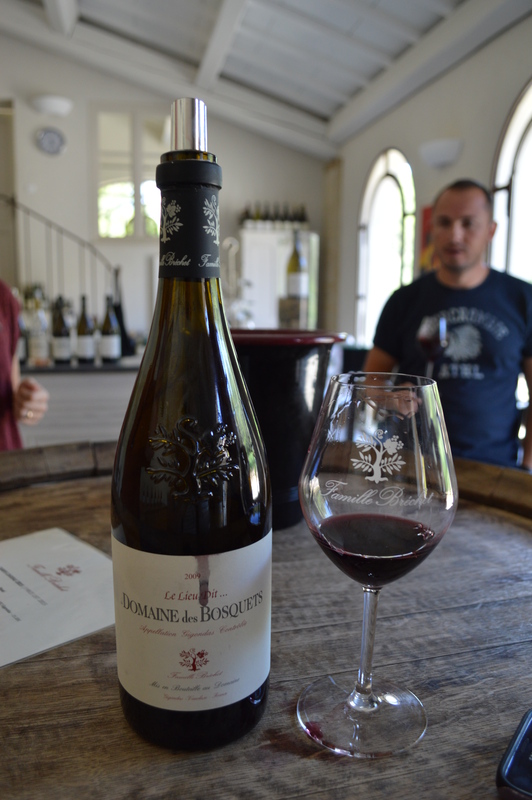 Then we were off to Gigondas, another storied region, for a tasting at Domaine des Bosquets (LINK), owned by the same family as Chateau de Veudieu. We tasted several wines with the owner/winemaker at this location as well. Winemaker Julien Bréchet hosted our tasting. The Gigondas is very similar to Châteauneuf-du-Pape, with a focus on Grenache and Syrah as the primary varietals. The main difference is the type of soil – less gravely and with more limestone and sand than Châteauneuf-du-Pape, plus a higher elevation with more verticality to the vineyards. 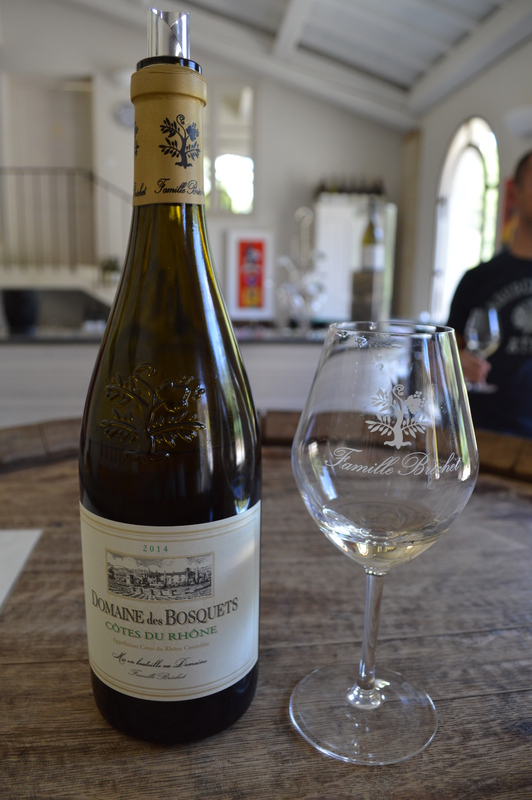 The wines at Domaine des Bosquets were similar in style to those from Chateau de Veudieu – smooth, well-structured and elegant. The Gigondas is a great wine region. 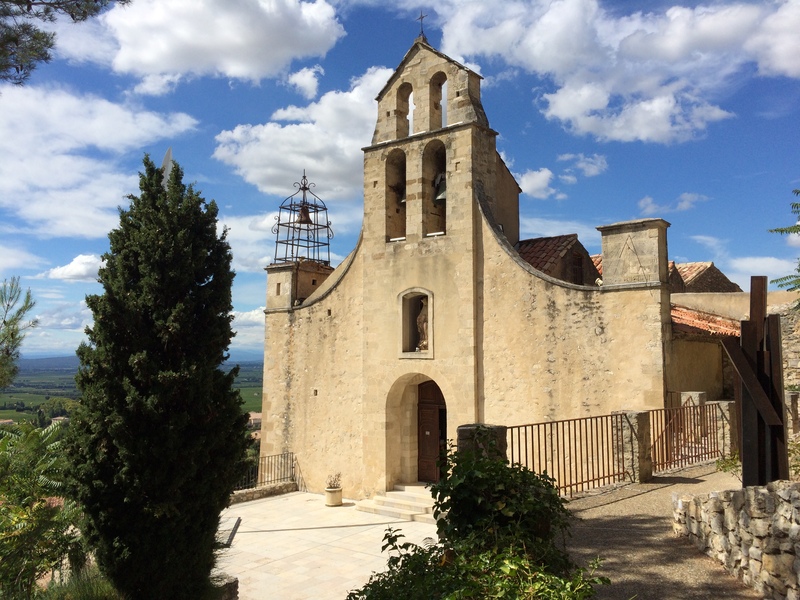 2014 Domaine des Bosquets Blanc – 80% Grenache – 20% Roussane – This white is made on the high elevation plot called “Cheval Long”. Handpicked, and vinified in oak barrels, only several cases are released. 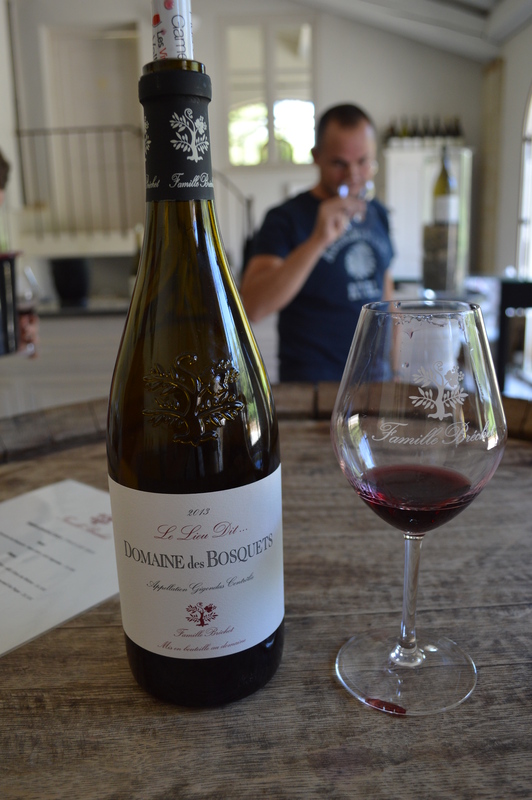 2013 Domaine des Bosquets Rouge cuvée « Le Lieu dit… » – The laying down wine from the estate’s celebrated plot, vinified and matured pure. This is a Grenache in all its splendor, in turn opulent, soft, elegant and blessed with beautiful length on the palate. 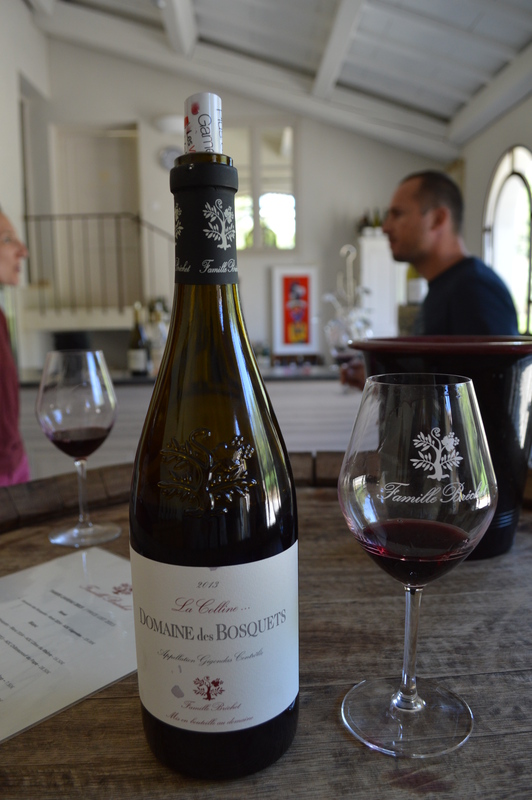 2013 Domaine des Bosquets Rouge cuvée « La Colline… » – This parcel was planted into the rocks by our ancestors. 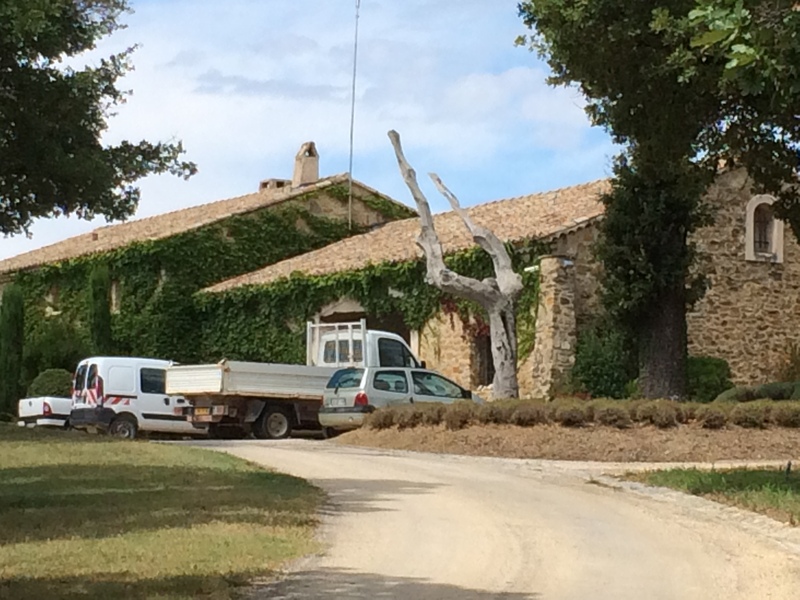 It overlooks the estate and stretches as far as the edge of the Dentelles de Montmirail. 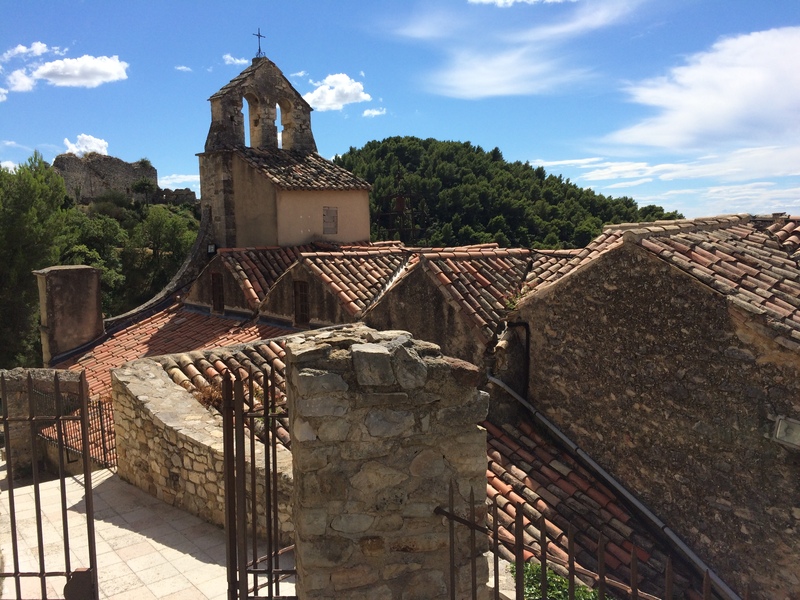 Then we explored the nearby hilltop town of Gigondas a bit before heading back to our apartment. It was an amazing day that filled my need to explore somewhat more n depth the areas we visited and to learn more about the wines. We made purchases at every stop! This is a very rich region, part of the overall Rhône Valley Region, so there is much, much more to explore. So we will have to do some more exploring on this trip, and we will have to come back. 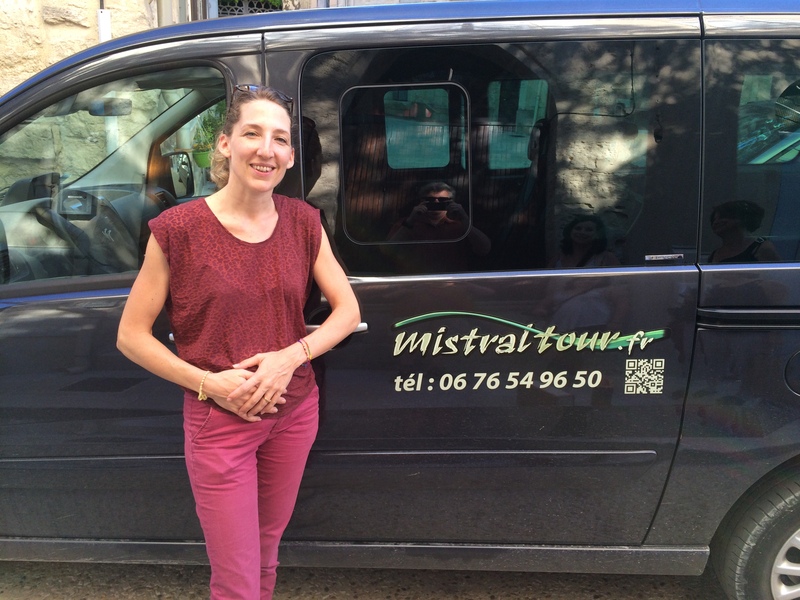 And again, I cannot give enough praise to Valentina of MistralTour.fr (LINK) – she is a professional and makes your time together very enjoyable, while giving you as much, or as little inside information as you would like. And her prices really are a bargain. Jim–I think you have done a very good job of capturing a bit of the “terroir of the region, and inspires me to plan a trip to the area sooner than later. Your guide, Valentina, sounds like a great find and I trust your blog will assist her in getting more business. What a fabulous day, and perhaps the only “fly” in the wine was it was only one day. Hope you make it back during your remaining 5 weeks to explore more and write about it. Thank you for the sharing!